The Bretling Barnato is not just a watch, it’s a memory of better times, times when things were simpler and the beginning of a new era was about to start. 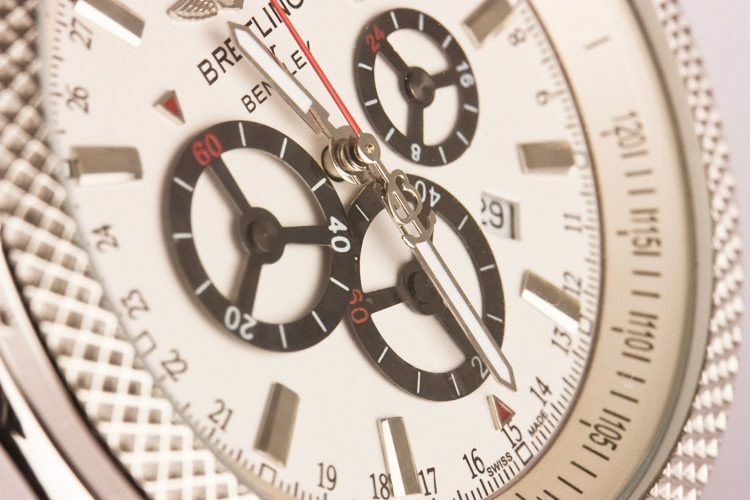 The watch is named after Woolf Barnato who was one of the Bentley Boys. The Bentley Boys were excellent race car drivers and managed to impress the world with their skills. This beautiful watch is a celebration of Barnato who ended up owning Bentley so you will not wear just a watch but a beautiful accessory that tells the story of success and ambition. 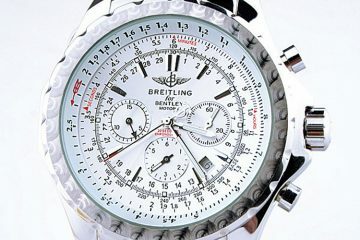 Of course the Breitling is not a watch for those with average income as it may prove to be pretty expensive. But it is expected for a watch with such great tradition and style to cost so much. 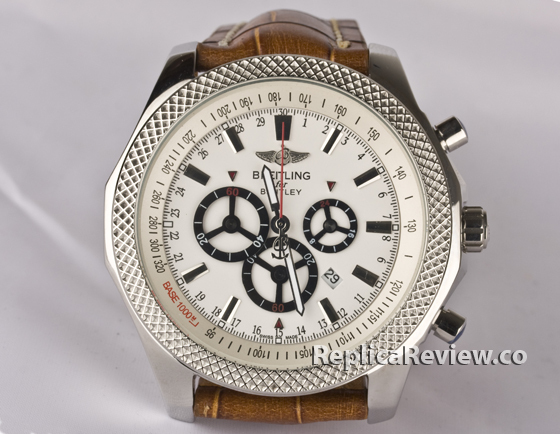 For those who cannot afford a beautiful Breitling Barnato there are ways that are cheaper. 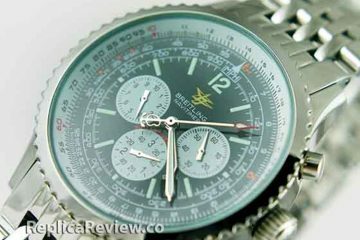 For example, you can search for a replica watch but finding one that would be of high quality may prove to be a daring quest. 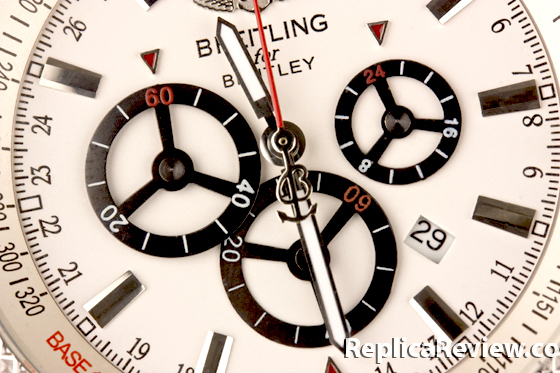 The replica we have right here comes with certain differences from the original watch. For example the tough steel model is set on a leather strap that can only be described as minimalistic with a few stitches that make a contrast. The replica, however, has a crocodile leather strap that doesn’t seem to resemble much of the original watch. 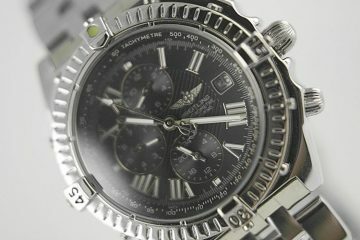 Another thing that one would observe when inspecting this watch closer is the fact that the sub dials have different numbers. For example, on the left sub dial we have numbers 5, 10 and 15 on the original watch but the replica watch shows numbers 40, 20, 60. On the right dial the numbers 20, 40 and 60 appear on the original watch but unfortunately on the replica we can see the numbers 8, 16 and 24. If you inspect the watch even further you will find out that the lower sub dial has the same problem showing numbers 20, 40 and 60 on the replica while the original watch has numbers 2, 4 and 6. Unfortunately the differences between these two watches don’t end here as it seems that the replica also has black markings for its hours and minutes while the original watch has silver ones. The same happens with the minutes and hour hands that are a darker color on the replica watch. 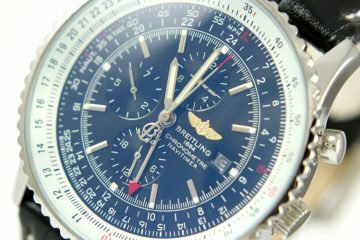 If you can get over these differences, the Breitling Barnato watch can prove to be a great pick even if it’s not such an accurate replica. 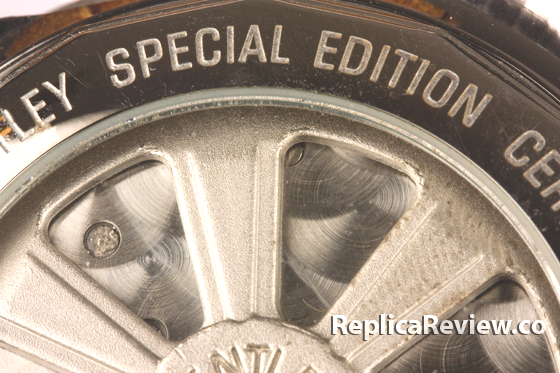 However, if you want something that looks exactly like the real thing you might have to search for another one. 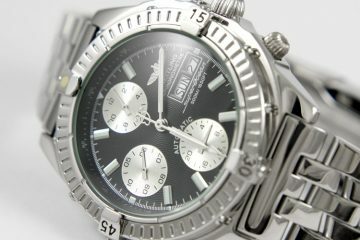 I found a similar watch on wristwatchselling.com, what is the difference between the quality of their. Do you know where I can purchase this replica? Thanks! If anyone knows where I can find a this replica, please let me know!